The new look lobby at the Sofitel Fiji Beach Resort upon completion of renovations. 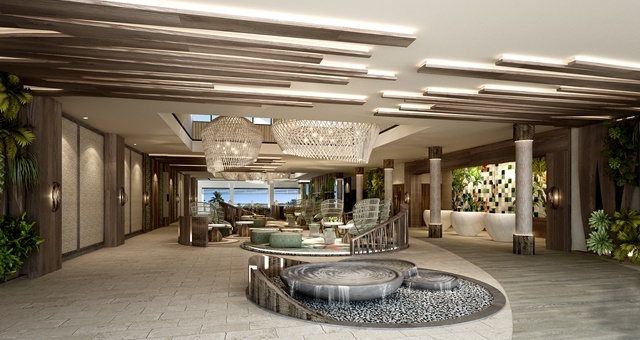 Fiji’s nightlife is on course for a shake-up, with Denarau Island set to welcome the region’s first nightclub as part of a major renovation kicking off this week at the Sofitel Fiji Resort and Spa, AccorHotels has detailed. As part of the works, the resort’s Breeze Bar will evolve into a dedicated late night venue in which a DJ will play each evening from 9:30pm to 1am. At the nearby Waitui Beach Club, two-dozen new beach cabanas will headline a significant expansion project. The adults-only beach club will also receive a new welcome area and beachside cocktail bar, dubbed Rum Shak, which will face west to best capture the sunset. This bar will take on a distinct whisky theme and will serve over 150 varieties of rums alongside a menu of Fijian tapas. For kids and young adults, a special ‘Waitui Beach Club for Kids’ and Adolescent Zone will also be developed for parents with kids unable to enter the main facility. Further, an undercover dining option catering for up to 40 people will be added, while the main beachside restaurant will see a Mediterranean theme rolled out. Entirely new restaurant and bar concepts will be rolled out across the resort’s five dining outlets and four bars. While the Beach Club is out of action, adjoining guest rooms and suites will also be renovated, as will the resort’s main Lagoon restaurant, which will be fitted with a new interactive dining concept for guests to enjoy at breakfast and dinner. Guest rooms at the Waitui Beach Club will be upgraded as part of the resort’s renovation program. Works are scheduled for resort facilities including the lobby, fitness centre, conference rooms, ballroom and Fiji Airways ticketing centre. A new yoga deck will be added for guests interested in scheduled and individual yoga sessions. 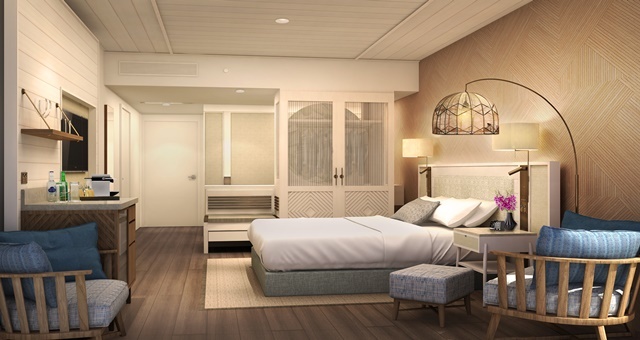 In additional phases of the upgrade project, guest rooms and suites in the hotel’s luxury category will be refurbished between April and June next year, while Superior and Family rooms will go under the designer’s knife in the second half of 2019. However, the hotel has ensured all guests booked during the Christmas and New Year period that all work will be suspended between 22 December and 13 January to ensure a peaceful break. “We’re delighted to announce the highly anticipated rejuvenation of the resort, which already appeals to a loyal clientele and we are certain the transformation will attract a new market of discerning travellers looking for that next level of luxury, which is sure to draw more attention and visitation to Denarau Island,” said General Manager Vincent Macquet.